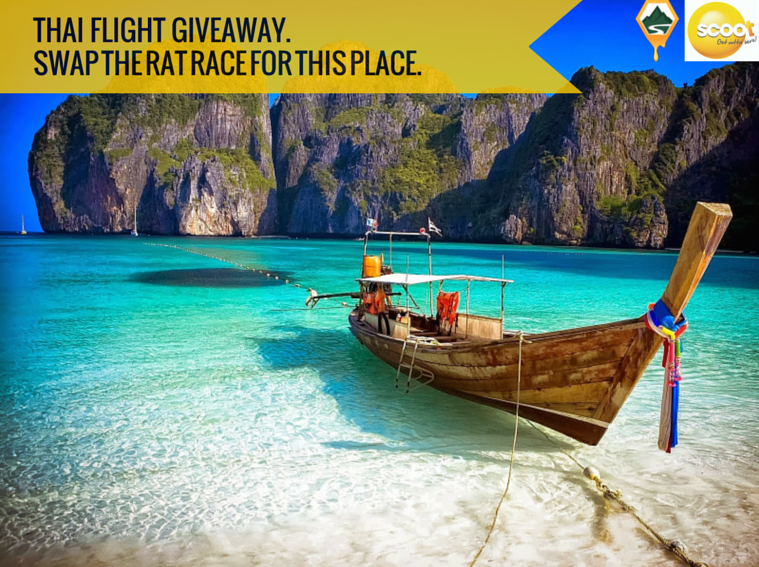 AdventureHoney has teamed up with Asia’s favourite low-cost airline, Scoot to send two lucky travellers to Thailand! That’s right, all you have do is complete this form for a chance to jet off to Thailand with a friend, a family member, a lover… heck, we don’t care who you take! What we know for sure is that you’re going to love swapping the rat race for tropical goodness, white sandy beaches, amazing food, cheap massages, tasty cocktails, abundant shopping, exotic culture… you get the idea. All you have to do to enter is click this link and take 2 mins to enter. Entry closes 28 February. What are you waiting for, enter now and get involved! This is awesome, pick me!